British neuroscientists have shown that the brains of taxi drivers grow when they study for their taxi license exam. To be licensed to drive the classic black London cabs, cabbies have to pass a test demonstrating knowledge of the complex network of 25,000 winding streets and 20,000 landmarks in central London. The recent study showed growth in the hipppocampus, the part of the brain associated with memory. Some scholars believe that spatial thinking, that is, thinking geographically, is particularly important to brain development. 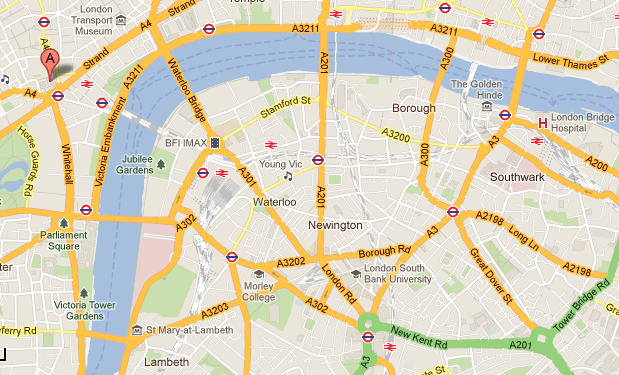 A portion of the street network a London cabbie must memorize.